Jerusalem, Israel — March 12, 2015 … Part of the following was communicated by the Prime Minister’s Office to the Israel News Agency. 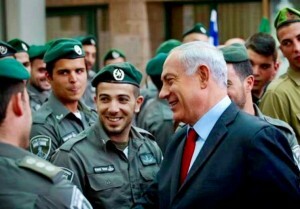 Israel Prime Minister Benjamin Netanyahu visited the Border Police Headquarters in Jerusalem and met with the Border Police officers who were wounded in last Friday’s terrorist attack and the officers and security guards who were involved in neutralizing the terrorist. Israel Police Commissioner Insp.-Gen. Yohanan Danino, Jerusalem District Police Commander Moshe Edri, Jerusalem Border Police Commander Amos Yaakov and Jerusalem Mayor Nir Barkat also attended the meeting. 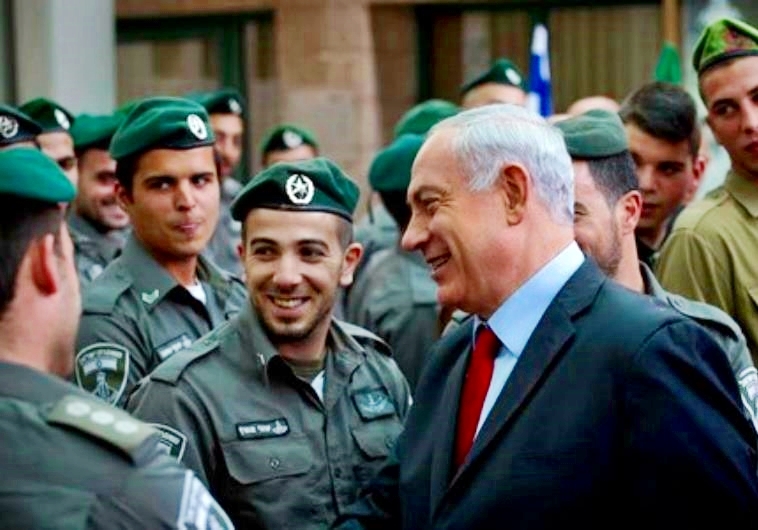 “I came here today to note the activity of the security forces on duty in Jerusalem, and to commend the fighters who, in recent weeks, have – time and again – foiled attempts to perpetrate terrorist attacks in our capital city. In the end, the test is upon the person himself, the same police officers and the security guard who, at the decisive moment, simply did the work.